Age only makes them better. I had one with just over a year on it and it was smooth as warm buttah. I was even picking up a slight bourbon flavor on the finish. I do agree that the name is a bit disconcerting, though. One of the only two 5 Vegas sticks I think are very good. What's the other? I like either the series a or the triple a (I actually forgot which one is which and might have to try them both again). Of course I will admit to liking the gold when I'm in the mood for something pretty mild or who smoking around people that don't like cigars so much. The 5 Vegas Miami------which as I look here, lol, is apparently no longer made. Honestly, I find the 5 Vegas line to be one of the better bargain lines out there. The Miami, Relic, and AAA are all really good and can be had easily for under $3 a stick. If you are not aware, they are blended by DPG, Quesada, and AJF, respectively. So if you like their other stuff, you'll probably like their 5V. The AAA is one of my go to smokes for consistency and price. I enjoy the cask strength, but think it is a bit over rated. Agree..... I enjoy the Classic too.....I always keep some 5V Classic Torpedo in the humi. Nice stick and great for non smokers who want to join in. There was a time when the Cask Strength (II) was a top contender in my rotation. My tastes have changed to much mellower cigars so I'm not smoking them any longer but they are an excellent value, as is the entire 5V line. I didn't really like how they aged, though. I thought they hit their peak right around a year old. After that, they started to lose some of their flavor and become more one dimensional. 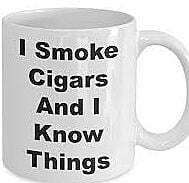 Good to know....and humidor is so marked.